Sign up now before the seats are all taken! 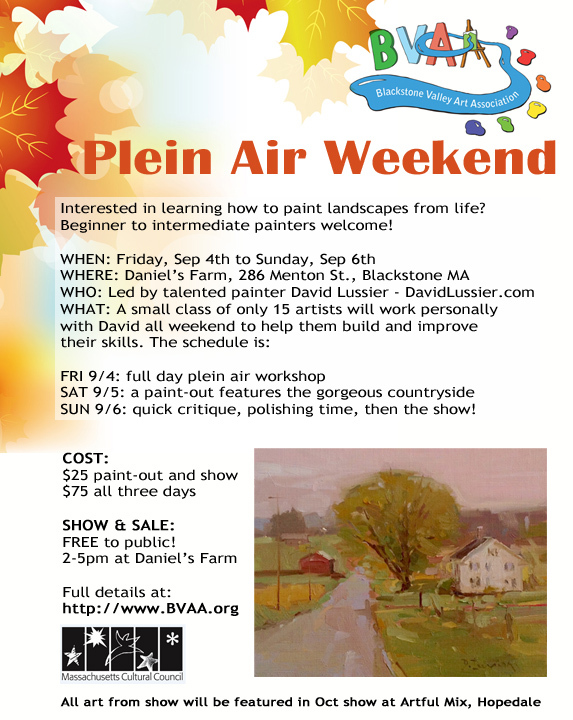 The Blackstone Valley Art Association and Daniel’s Farm in Blackstone are hosting a fantastic 3 day event Labor Day Weekend. All levels of painters welcome from beginners on up!